Educational opportunities are often of great importance to those looking for a new home. This is particularly true for families with children or those planning to have children in the future. Fortunately, Telluride offers not only beauty and fun, but also a public school system that can be described as impressive for a town of this size. Among the things that really stand out about the Telluride school system is the fact its special programs earn high marks. For example, the Palm Theater makes its home on the Telluride Middle-High School campus. This multi-purpose facility offers 30,000 square feet of space available for a range of performing arts. With its opening came numerous performing arts opportunities, including a high school theater elective, a variety show for the middle school, and an abundance of school productions. The Telluride public school system also offers an international study program. This program provides opportunities for interesting trips, as well as priceless opportunity study in other countries. Additionally, there are numerous extracurricular sports available, including ski programs and mountain climbing. 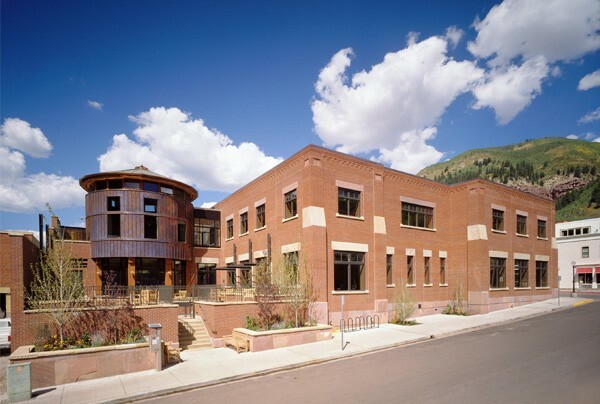 The Telluride community is also home to the Telluride Mountain School (TMS). TMS is a private-independent school founded in 1999. It serves as an educational alternative for students from kindergarten through the ninth grade. To learn more about the Telluride region, its educational system, and Telluride real estate properties, contact me, Raymond Bowers, by email at info@rvbowers.com or by phone 970-729-2278. My staff and I are ready to assist you with honesty, integrity, and an artistic approach to buying and selling real estate. The Telluride Public School System (K-12) is remarkable for such a small community. The curriculum includes wonderful special programs you would expect to find only in private schools. Telluride Public Schools set higher goals in 2007 than in previous years, and the students did a good job meeting the expectations, and in fact improved more in 2007 than in the past five years. The students showing the most growth were our ESL students and our Special Ed students. These students have the most catching up to do and it’s a triumph that they are moving in the right direction. Overall, we are pleased with our recent scores and celebrate our successes while keeping an eye on our weakest scoring areas. Telluride School District grades are well above the state averages. To view the Telluride Public Schools Annual Report for overall school performance, CLICK HERE. The school district takes pride in the integration of educational technology and information literacy into teaching and into learning as a means to raise student achievement. 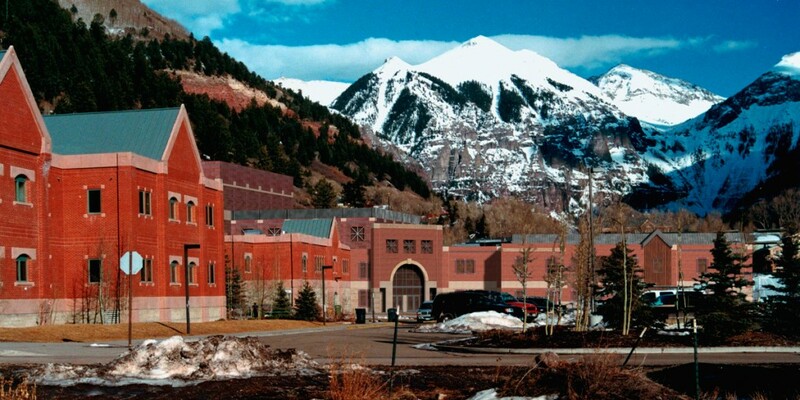 In March, 2005, the 30,000 square foot Palm Theatre opened as a state of the art, multi-use performing arts facility located on the Telluride Middle-High School Campus. New opportunities in the performing arts included a drama/theater elective at the high school, a middle school variety show, as well as numerous classroom productions, including the fifth grade Shakespeare play and seventh grade Greek plays. An international study program provides trips and study abroad. For extracurricular activities, the school provides an extensive ski program, mountain climbing expeditions, and a wide range of sports programs for both boys and girls. 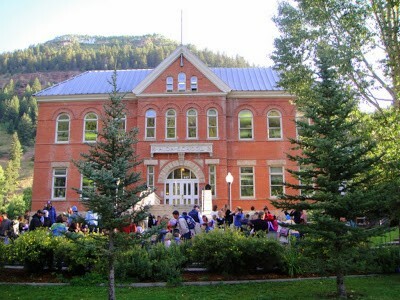 Telluride Mountain School (K-12) – In 1998, in addition to the public school system, Telluride Mountain School was Founded as a private, non-profit, independent K-12 school. Telluride Mountain School offers a preschool through high school education, serving approximately 100 students from throughout the Telluride region. Preschool and lower school children follow a Montessori curriculum, which transitions into a traditional college preparatory curriculum. experiential learning program and service learning trips, students develop critical thinking, aesthetic expression and ethical behavior. The gorgeous Wilkinson Public Library opened its doors in August 2000. The new building provides the community with a state-of-the-art facility for the 21st century. It not only provides space for a book collection triple the size of the existing one, but features enlarged computer services, a great number of documentary videos, and space for community meetings. The hugely expanded children’s area has separate sections for different age groups and even a “parent’s corner” apart from yet close to their youngsters. Architecturally beautiful with its copper tower, light and airy inside, and handsomely decorated, the new library makes it clear that the life of the intellect is of the highest value to our community.